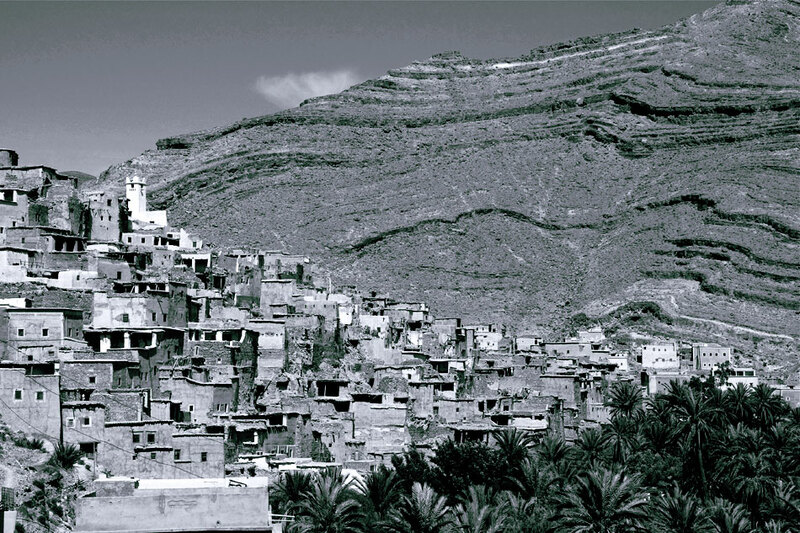 Morocco Photography Tours | landscapes, people in exciting locations. Each of our 10-day Morocco photography tours runs across southern Morocco in the desert regions designed for photographing local people and landscapes. The tour is ‘soft adventure’ geared for photographers of all levels of ability who want the assurance of a guided and secure way of experiencing the country. You can add more days to the trip by visiting Essaouira, Fes, Meknes & Chefchaouen which will give you another photographic experience. Check our tour prices against competitors and you’ll be surprised. 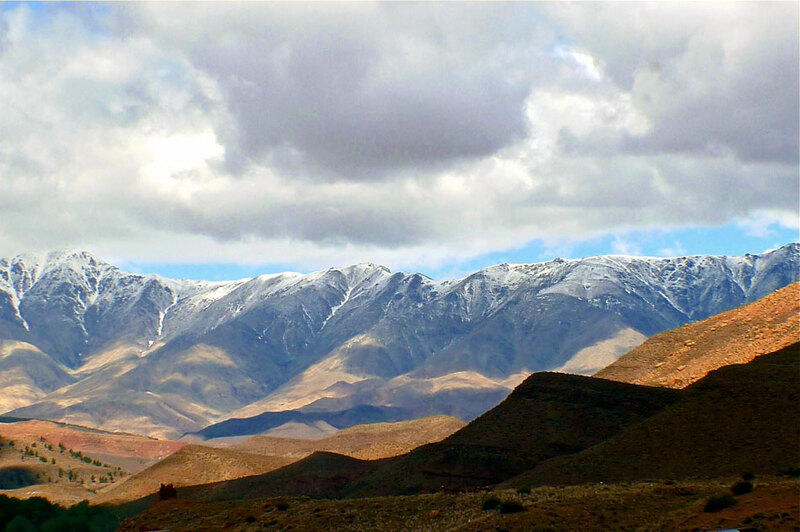 Nothing can quite prepare you for the landscapes in this part of Morocco. Choosing one of our Morocco photography tours is to enter into another world where rock formations, valleys and desert sands offer a kaleidoscope of shifting colour and texture set against the snow capped Atlas mountains. Add to that, Kasbahs, dunes and oasis communities that you’ll photograph and it’s quite the smorgasboard for landscape enthusiasts. Although for many the highlight of the tour is photographing the local families we’ve built relationships with during the past 7 years allowing you to photography them at your leisure. Most Morocco photography tours itineraries for this part of the world sound the same. Of course there’s the exotic element in the published itineraries; Kasbahs, snow capped mountain views, village children. It’s all here, the difference is on this tour we’ll take you to local people where you will be able to photograph a Berber or nomad family as well as the places where you’ll get the best opportunities for the photos you have in your mind. If you don’t have any preconceptions about what photos you want to get, then you’ll be pleasantly surprised. Our tour is about the real country away from the cities where the people and lifestyles are arguably more interesting. The tour also offers lots of technical variety so you’ll be using most of your kit. Your images are our priority. Those that have been on the photography tours are pretty focused on getting great shots so we confine driving to the late morning or afternoon when the light is less useful, arriving for landscape shots at about the right time. Each day we’ll give you a mix of landscape and people photography, either reportage or portraiture. We cover 1800km for the tour but you’re not traveling each day and you’re not constantly changing hotels. We get the balance about right in terms of travel and keeping fresh. In the evenings there’s the opportunity to review the day’s images for individual feedback so bring your laptops and plenty of cards – you’ll be shooting a lot of photos across different genres giving you a huge variety of imagery. From Marrakesh we travel towards the desert which offers some stunning scenes as well as opportunities to stop and photograph the rural river valley communities. Our arrival in Ait benhaddou sets up 2 days exploring both the famous Kasbah there and some village families. Then eastwards and for days 4 and 5 we’re based near the Gorge’s at Dades and Todra, where we’ll photograph rock formations and local families as well as nomads if we can. 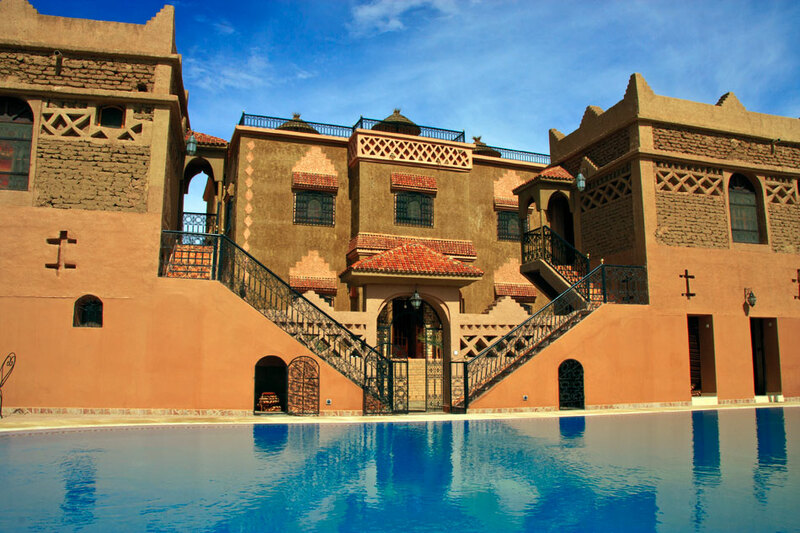 Our next location further on into the desert, is the wonderful Ksar and oasis of Elkhorbat and by day 7 we’ve arrived at the dunes in Merzouga where you have the chance of an overnight desert camp stay. Our last night before heading back to Marrakesh is at the palmeraie of Skoura. The tour is for all levels of ability, you don’t have to be a landscape expert or have a brilliant sense of composition. You can pick some of this up as part of the tour. However it’s assumed that you have some knowledge about how to use your camera controls. Don’t worry if you’re not completely comfortable with exposure control. Some of the tour locations challenge even the most experienced photographers and we’ll cover this as part of the tuition but there will be limited time to explain what shutter speed or DOF is. The week is open to all ages but there is some walking over short distances. The tour is primarily about building a portfolio of great images for personal or competition use. Take a look here for a recent tour portfolio courtesy of Brian Law. Travelling across desert plains you’ll see evidence of grandeur from a bygone age. Dramatic rock formations, an extraordinary testament to natural forces, form a backdrop to sweeping river valleys and crumbling Kasbahs. 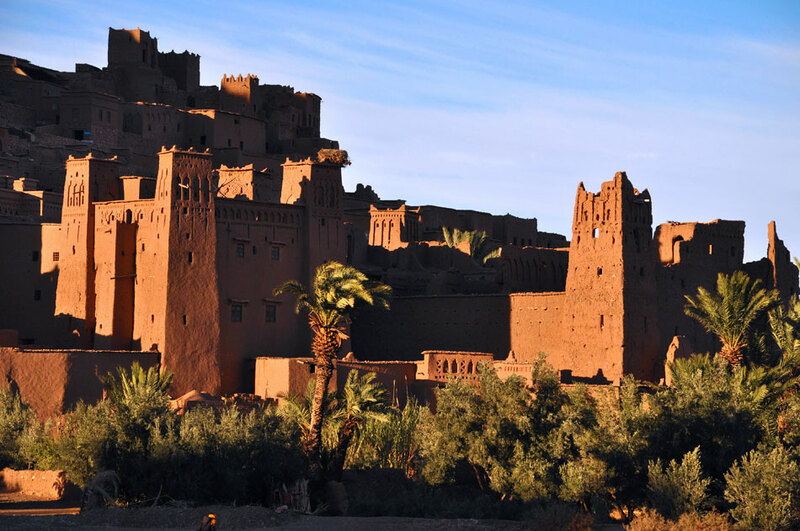 The architectural splendour of the region’s most famous Kasbah; Ait benhaddou, dating back to at least the 13th century is undiminished and it still houses many families within its mud brick walls. 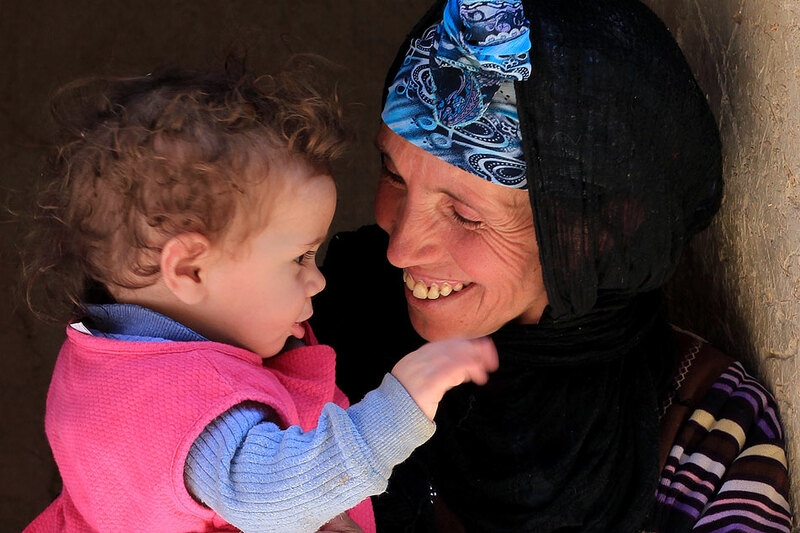 In the Dades and Todra areas there are the remnants of hundreds more, many of which are seeing the reintroduction of local families. 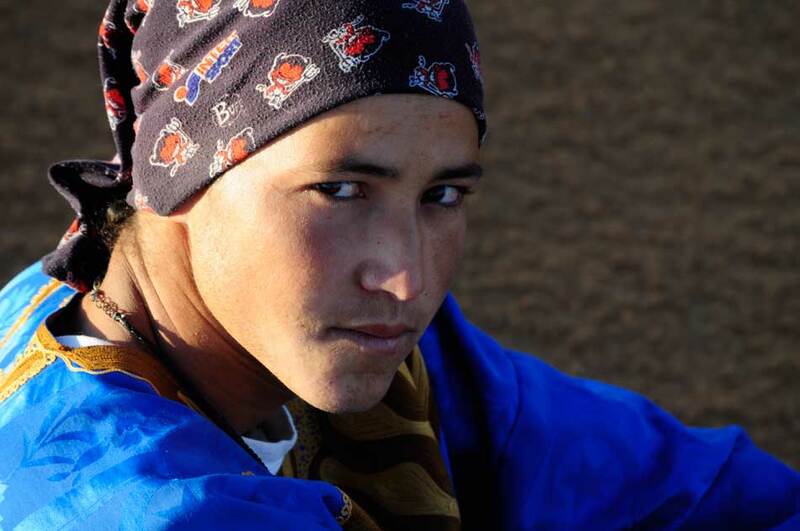 Berber people are the original inhabitants dating back several thousand years. With their distinct customs and an officially recognised language they populate great swaths of the country. 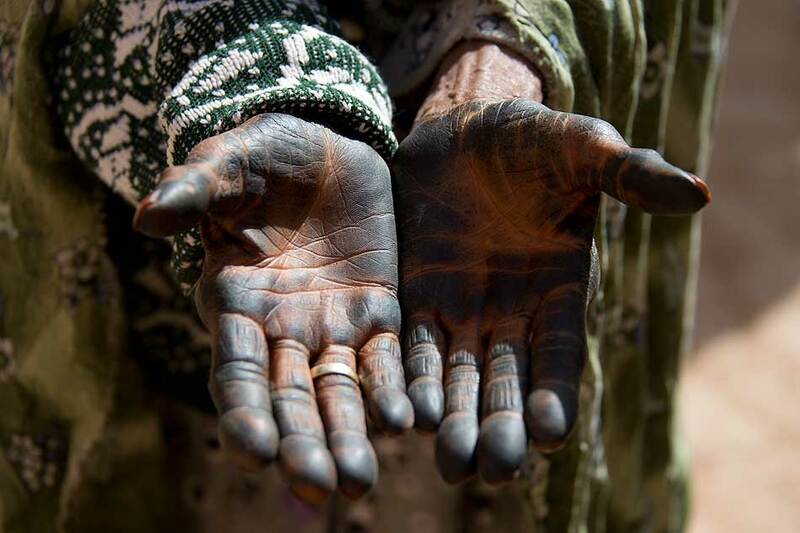 Predominantly in the High Atlas they are small holding farmers living in traditional communities sometimes in difficult circumstances but they are a warm and generous people. Some live as nomads coming down to the river beds in winter and venturing up into High Atlas plains with their goats for the summers months. 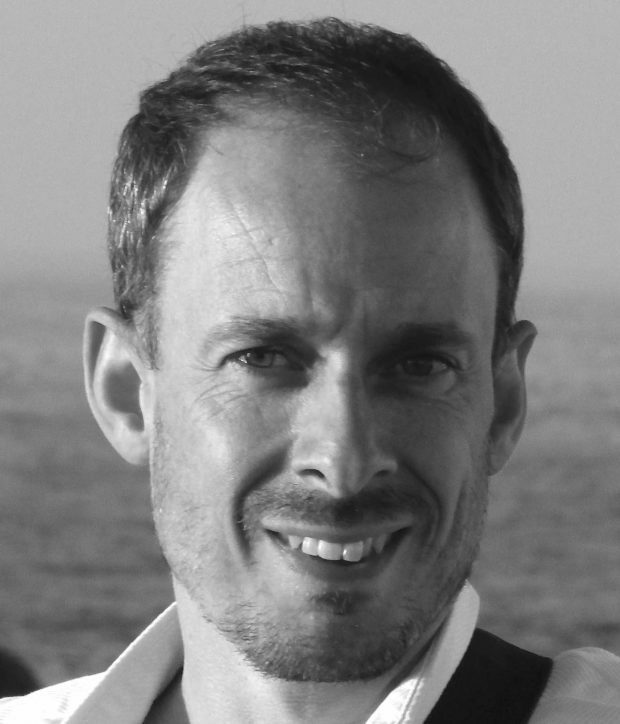 Many of the people you’ll meet on the tour will be Berber. 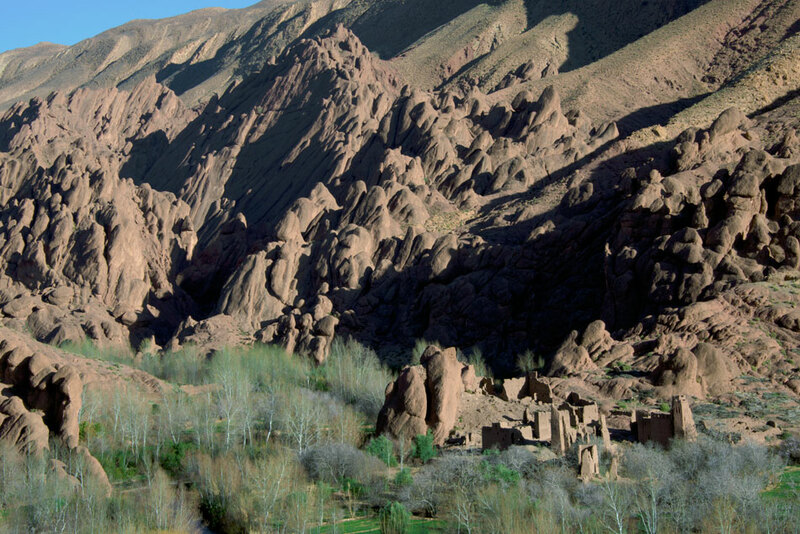 The tour offers a variety of expansive vistas to photograph with classical landscape (deep focus) framing particularly useful in the High Atlas just south of Marrakesh, in the Dades Valley and in the desert dunes. These locations as well others in the desert regions around Ait Benhaddou also lend themselves to more abstract landscape interpretations treating scenes as graphic elements with shape and form becoming the overarching priorities. Juxtaposition and appreciation of an expansive DOF within a location is also key. In some cases natural forms may be unrecognisable. All the hotels on the tour are carefully selected for their unique style and traditional charms. Wifi and air-conditioning are standard along the route and three have swimming pools. There’s no room sharing or supplement coming as a single person – you’ll have your own en-suite private bathroom. Couples are welcome and this is also a popular option. Evening dining is regional cuisine served in the hotels. Alcohol is available in some of the establishments but as we head towards the desert, the menus become more limited in choice and wine and beer unavailable. All the hotels can cater for vegetarians and vegan diets. View our link here for choosing the right photography tour. We run our Morocco photography tours in the spring and Autumn. Requested dates are also welcome. You have the choice of a guided photography tour with a tour leader who will take you to the best places and people to photograph, or a tutor led tour with myself for those who would like daily image feedback and tips on improving their photography. Tour with myself as listed, are limited to 5 a year. Transportation is either by people carrier or 4×4 depending on the group size. Prices start at USD 1700 for the 10 days guided tour without a tutor including transport, accommodation, breakfast and local fees. Tutor led tours are USD 2200/ £1495 per person. Please use the adjacent form for an initial enquiry. We also offer a 10% loyalty discount for previous clients. We run 5 tutor led tours a year each with a slight variation depending on the season. 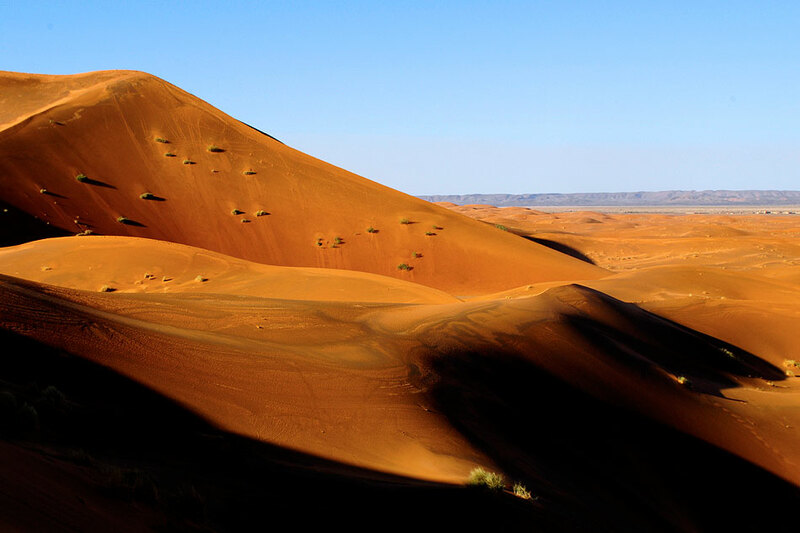 The outline route we take including the dunes visit is the same for all tours except for more off-piste driving for the ‘route of the nomads tour’. This tour offers exceptional value introducing you to local people en-route for portraits and providing a comprehensive photographic experience from a published photographer and guide. Visit the reviews page for more feedback. CHOOSE A STARTING DATE FOR THE 10 DAY DESERT & DUNES TOUR. Sept. 30th 2019 'Sunset skies' - tutor led Oct. 21st 2019 'Route of the nomads' - tutor led Feb. 24th 2020 'Desert dunes' - tutor led Enter a date below for a guided tour without a tutor.